The Society was formed on the 3rd October 1936. The first meeting composed of delegates from local Cage Bird societies and a representative from the newly formed Yorkshire BS. Even though war broke out in 1939 the society continued to hold shows and publish limited newsreports. The Society has changed name three times in its history. 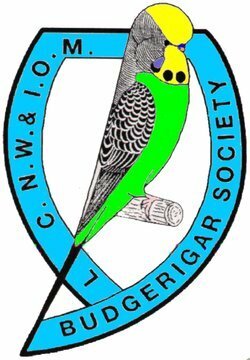 It started off as Lancashire and Cheshire Budgerigar Society back in 1936, North Wales was added in February 1938 and finally Inc Isle of Man was added in 1953. The Society covers Aberconwy & Colwyn, Anglesey, Caernarfon & Merionethshire, Bolton, Bury, Cheshire, Denbighshire, Flintshire, Isle of Man, Knowsley, Lancashire, Liverpool, Manchester, Oldham, Rochdale, Salford, Sefton, St Helens, South Cumbria, Stockport, Tameside, Trafford, Wigan, Wirral and Wrexham. The Officers and Committee of the Society meet 6 times per year. The Annual General meeting is generally held in March each year. The Area Championship Show is held on the second weekend in July each year at Padgate Community Centre, Warrington. The Society gives patronage to both Open and Members shows run by affiliated Societies. Paid up members of the Society receive a Yearbook every 3 years (in June) and newsreports every February and October. The yearbook deals with the business of the Society and Rules, whilst the Newsreports provides lists of affiliated Societies, AGM minutes, Audited accounts,articles on Budgerigars and news from within the area and beyond.